The 2017 NCAA Men’s Basketball tournament officially wrapped up with UNC taking it all. 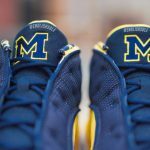 Although Michigan didn’t make it all the way, they got laced with some fresh gear for the ride. 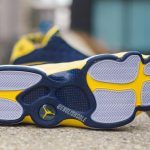 The Michigan Wolverines have been giving us an inside look at a ton of their PE Air Jordan silhouettes over the last few months and last month they added one more to the collection. 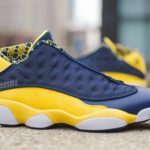 Prior to the start of March Madness, past and present players were issued a special edition of the Air Jordan 13 Low silhouette. 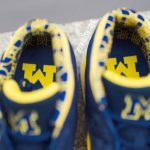 The shoes were also gifted to some Jordan Brand friends and family and today we take a closer look at the sneaker. 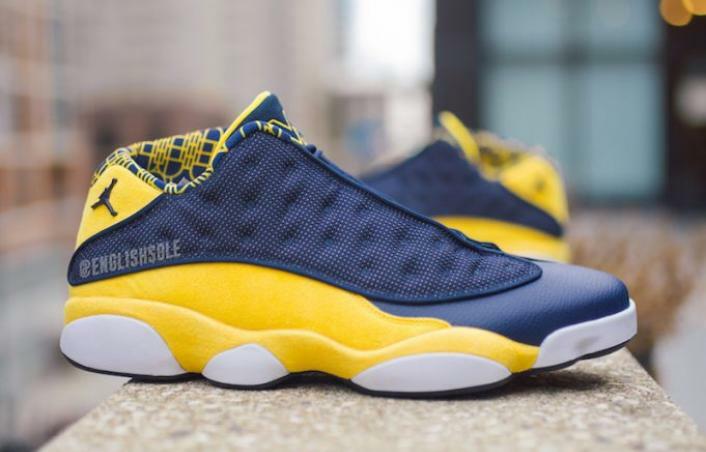 This edition will be outfitted in the school’s classic blue and yellow colorway. 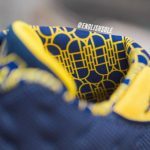 College Navy leather handles the base and it can also be found on the mesh overlays. Amarillo Yellow suede is used for the mudguard and midsole, while crisp white on the outsole adds some contrast. 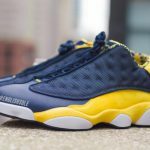 The Michigan “M” can be found on the tongue along with special graphics on the interior to complete the look. This version still won’t be hitting retailers, but with the extra samples floating around now, a few lucky folks might be able to get their hands on a pair. 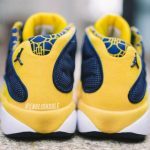 Are you feeling these Air Jordan PE’s? Let us know in the comments below. previous Kendrick Lamar - HUMBLE.